“In short, the Communists (ANTIFA SOCIALSIST) everywhere support every revolutionary movement against the existing social and political order of things. They openly declare that their ends can be attained only by the forcible overthrow of all existing social conditions. Let the ruling classes tremble at a Communistic revolution. The proletarians have nothing to lose but their chains. They have a world to win. Engels founded Marxist theory together with Karl Marx . 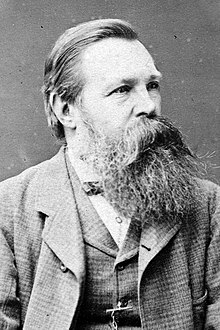 In 1848, Engels co-authored The Communist Manifesto with Marx and also authored and co-authored (primarily with Marx) many other works.